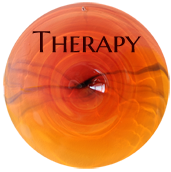 Certified Focusing-Oriented Therapists and non-therapists will become Certified Focusing Professionals or Certified Focusing Trainers. 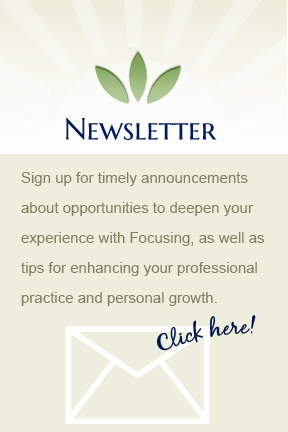 income and a way to market your practice. for referrals for your practice and trainings. Focusing into the world in your unique way. Most people will begin to think about certification during their second year of training. 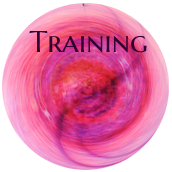 Before beginning the certification process, you will need to become a Trainer in Training through The International Focusing Institute. The first step of the process begins with contacting me and discussing your interest. There are several components to certification. 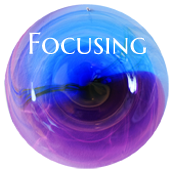 The following is an overview of the process and expectations to provide direction while allowing your personal Focusing to guide how you integrate Focusing into your practice and teaching. More information will be provided to you during the second year program.